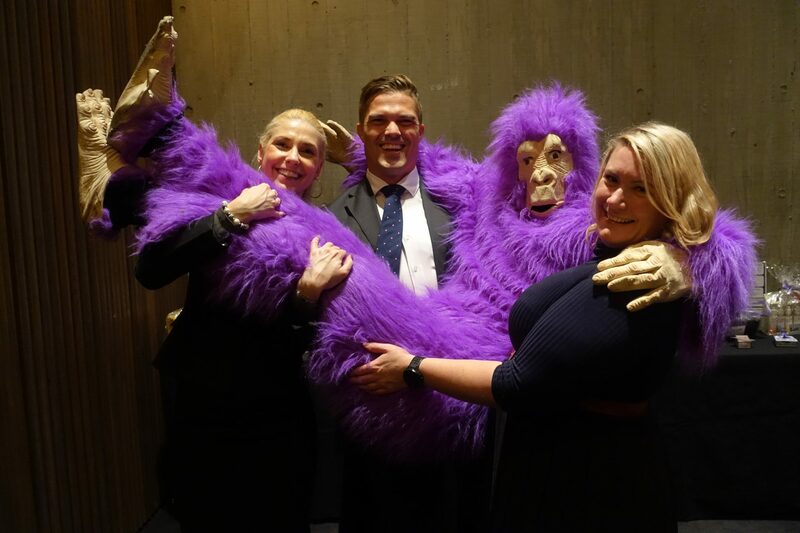 Did you have a great time at CREATE Foundation’s Beat the Bosses 2018 event on 17th May? Gus, our lovable mascot, sure did and we hope you had a fun and rewarding night. 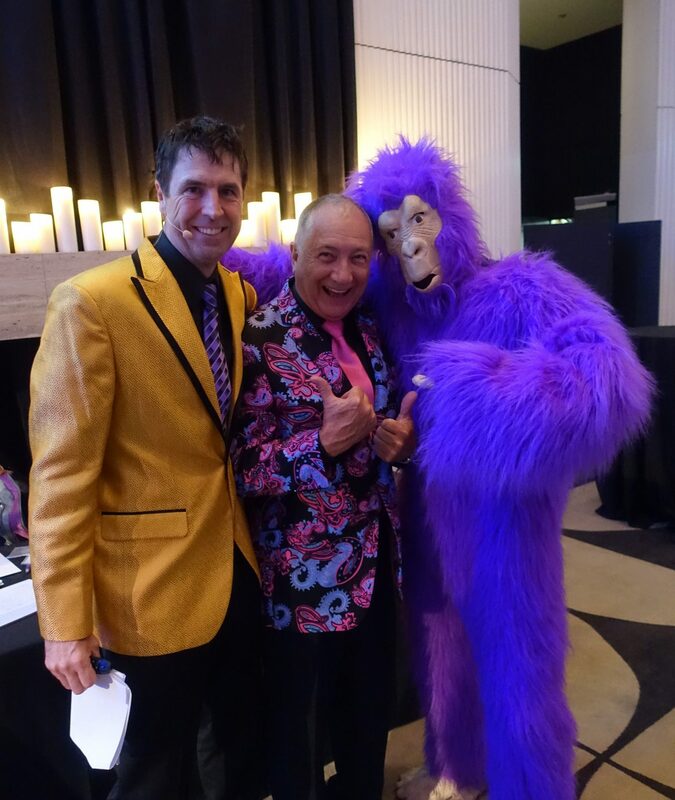 CREATE Foundation’s Beat the Bosses 2018 event has been a resounding success with fundraising from the event hitting close to $180,000! This amazing result means we have now raised over $1 million from our Beat the Bosses event since 2011. The impact this has on creating better lives for children and young people with a care experience is huge. On average, it costs $6,000 for young people to access 120 hours of driving lessons to get their licence. $1 million is enough to put 166 young people on the road to independence by helping them get their drivers’ licence. That is an amazing achievement and will make a big difference to the lives of young people with a care experience. CREATE Foundation would like to acknowledge and thank our amazing supporters and sponsors who attended the event on the night and had a great time. From the air guitar challenge to the amazing live auction, the energy on the night didn’t drop and all participants had a great time. A key feature of the event was inspiring speeches from Tasha and Reg, two CREATE Young Consultants who shared their experiences of growing up in care. Jacqui Reed, CEO of CREATE Foundation gave a thought-provoking speech sharing the challenges faced by children and young people living in and transitioning from care and reminded everyone in the room about the importance of helping create better lives for children and young people with a care experience. Winners are grinners! 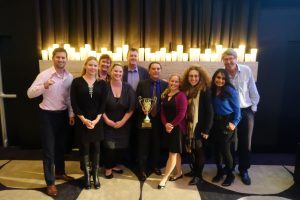 Well done to the AMP Capital for taking out the title and ‘beating the bosses’. Huge congratulations to the winning team on the night AMP Capital. Seasoned veterans at the Beat the Bosses event, even running their own event for staff as they love it so much! If you think your organisation would benefit from running their own Beat the Bosses event or would like to discuss supporting CREATE on an ongoing basis, please get in touch with Sabrina from CREATE’s Fundraising team or call 02 9267 1999. This event was proudly supported by Steadfast, EY and Cathay Pacific.